Much more than just a race. The 2019 edition of XTERRA Italy Lake Garda announces itself as a whole weekend of triathlonn: cbear, bike and swimming, but also entertainment, fun and collateral events in the XTERRA village. Tra Friday 24 May and Sunday 26 May 2019 the town of Toscolano Maderno and Lake Garda will be the perfect backdrop for a total sporting event, enriched by fiveseveral tests that will culminate with la first step seasonal in Italy the prestigiousworld circuit off-road. Tre days of emotions for an unforgettable experienceand, vertiginous, adrenaline, but at the same time open to all thanks to a wide and stratified sport proposal. 19 XTERRA TRAIL RUN hours - Off-road running on the trails of the hinterland of Toscolano Maderno, in the enchanting setting of the Valle delle Cartiere. 11 XTERRA SWIM hours - Suggestiva swimming event in open water, with a multilap path in the mirror of water in front of the XTERRA Village on the suggestive lakefront Zanardelli di Maderno. 16 XTERRA KIDS - Exciting Duathlon Cross race open to all young athletes, from 6 to 12 years, who want to try their hand at this fascinating discipline in an international flavor. 9,30 XTERRA SPRINT Hours - All the sensations of the main race within a calibrated test for athletes not yet ready for long distances or looking for a first approach to cross races. 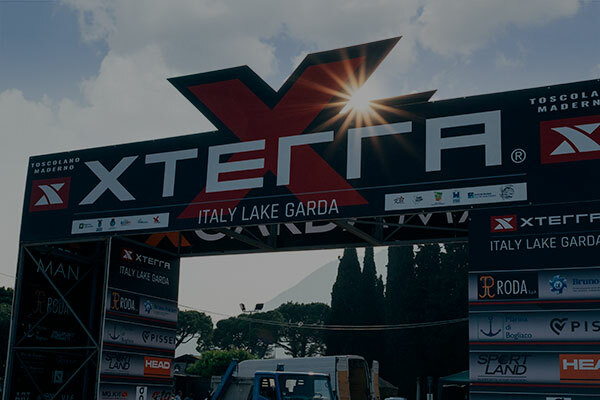 12,30 XTERRA FULL hours - Massacring and spectacular Italian stage of the Xterra world circuit along a route between the most technical and demanding of the entire calendar, between the waters of the lake and the paths of the Garda hinterland. Professionals and Age Group will spend all their energies to reach the milestone.